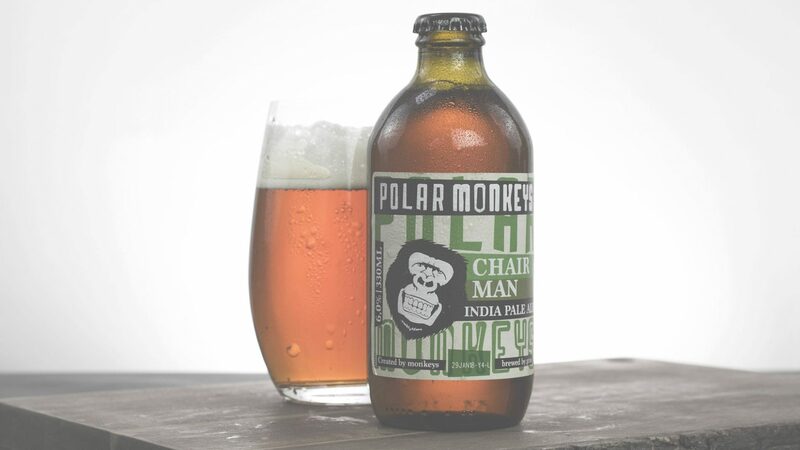 A fun, refreshing and innovative perspective on the craft beer scene, Polar Monkeys is announcing the launch of Chairman IPA. The new line, Chairman IPA, follows on from the introduction of Blue Collar Amber Lager earlier this year, to offer a distinctive flavour and standout bottle design, tempting craft beer enthusiasts, as well as those simply curious to try something new. Chairman IPA from Polar Monkeys, part of the Nordic inspired Theodor Schiøtz Brewing Company, known for its easy drinking, session craft ales, brewed in Odense, Denmark, offers a well-balanced American-style IPA, delivering a refreshing taste, complemented by a hoppy aroma. This craft beer has a deep reddish colour and the richness of malty hops and caramel, finished with the fresh tart notes of grapefruit, achieving the ideal craft beer for the summer. At 6% ABV, Chairman IPA is one of the higher ABV craft beers in the Polar Monkeys range, and thanks to its hoppy flavour and fruity aftertaste, can be well matched with spicy cuisine and a host of popular exotic dishes. Produced in iconic 330ml bottles, complete with the standout Polar Monkeys brand appeal that customers have come to know and love, Chairman IPA has a recommended serving temperature of between 6-8°c for a truly revitalising craft beer. “Polar Monkeys is a uniquely enjoyable range of craft beers. Simple, yet packed full of flavour and aroma, each beer offers something different, appealing to the distinctive style of the individual drinker. Ideal for those intrigued by the mysterious world of craft beer, Polar Monkeys are easy drinking, session brews, taking drinkers on a journey through the wonders of craft lager, IPA and ale. Available in cases of 24x330ml stubby bottles or in 20-litre kegs for draught service, Polar Monkeys Chairman IPA is now available through a range of wholesale partners in the UK. For more information on Polar Monkeys Chairman IPA or to find out about the other products in the Theodor Schiøtz Brewing Company range please see www.tsbrewing.co.uk or call 020 3195 2960.